If you have talent let us know we would love to show off your work ! We are three games into the season. As everyone knows we have not won yet. Do not lose faith though. We still have a good shot of making the playoffs because our remaining schedule is not to difficult. 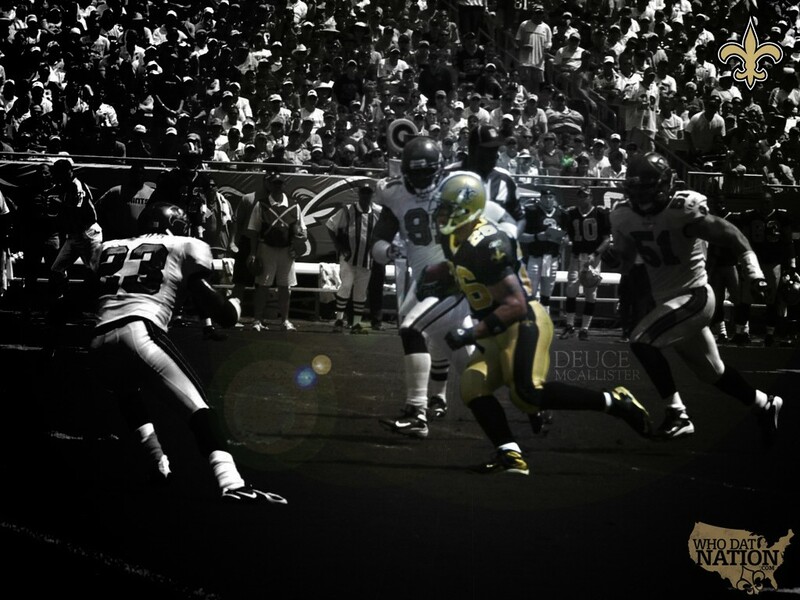 The loss of Deuce McAllister will severely damage our running game with Reggie Bush not being an every down back yet. Aaron Stecker will be asked to handle some of the load which he can do since he does have seven years of NFL experience. Another last option we have is to use some of the un-drafted rookie Pierre Thomas, who showed great potential during the last few games of the pre-season. Reggie Bush can do the job, he has showed maturity in being able to run downhill and hit the holes harder and gain the more hard earned yards. We can open up the down field passing game now and hopefully with a week off Drew Brees can regain the form of last year and hit Devery Henderson and Marques Colston down the field for bigger gaines. Lastly the Defense which has not played that bad but still is allowing over 30 points a game can improve there is still time in the season to let Jason David gain control of his starting cornerback position and Usama Young will come along and help guard the oppositions slot receivers. Lastly I would like to say DO NOT LOSE FAITH we can still make the playoffs and win our division which is wide open. A few words about the Dome experience. First, it was nice to be back in the Dome, especially with it raining Monday night. It was also nice to see the hallway areas in the Club level were carpeted. Last year, I saw numerous people slip and fall when the floor got wet. The Club level social areas look wonderful, but the food was terrible. The fried shrimp po’boy was something I would expect in Nebraska. Another complaint is they took the Real New Orleans daiquiris out, and replaced them with bars that served frozen generic sugar water. I guess the Dome management is looking to make squeeze more profits out. Also the final indignation, there was NO peanuts to be found at all. Can we get a Dome Food Czar in and make some changes?!?! At the end of the day, if I was walking out the Dome celebrating a Saints victory I may not be complaining about the food…. but then again, I am a New Orleanian food counts! Once we were in out seats, we noticed that the sound system was off. The entire time all we heard was echos. Did they test the new sound system?? I have been sitting in the same seats for over 20 years and this is the first game I could not understand what was being said. Very frustrating. Another frustration with the Dome is the refusal to show questionable plays that are challenged by the coaches, or should be challenged. In Tampa stadium their replays are proactive and they will start replaying plays that should be challenged by the home team before the coaches throw the flag. Then during the 90 seconds of review they loop through the different camera angles like they do on TV. My question is why don’t we do this? This is not the first year, I have noticed it before. Is it a matter of censorship or incompetence. One would think fans who pay $100+ per ticket should have the same access to information ( replays) as those sitting at home watching for free. Another positive is the Saintsations – from my perspective it looks like we have some nice new blood. On the past I felt that the team was focused on seniority of cheerleaders rather then talent and looks. Not only were the new girls “lookers’ but they danced better as well. With the Saints season sinking fast, at least we will have something else to enjoy on the sidelines. The New Orleans Saints were the recipients of bad news on Tuesday morning, as running back Deuce McAllister was placed on injured reserve with a torn anterior cruciate ligament in his left knee. The team also learned that starting cornerback Jason David would be sidelined for an indefinite period of time with a fractured foreman. McAllister, in his seventh season, injured his knee in the second quarter of last night’s game and didn’t return. The team’s all-time leading rusher, with 5,678 yards, said that he suffered the injury when he landed after jumping to catch a Drew Brees pass. The pride of Ole Miss hobbled off the field, and hoped for the best, while knowing deep down that the injury was serious. Head Coach Sean Payton also said that starting left tackle Jammal Brown suffered a dislocated finger but doesn’t expect him to be sidelined due to the injury and that wide receiver David Patten suffered a strained calf muscle in the game and that his progress will be monitored in the next two weeks. LB Scott Fujita also suffered an ankle injury but Payton believes the linebacker will be able to recover quickly from the injury and expects him back for the Carolina game in less than two weeks. “Obviously, we’re challenged offensively now with losing a key player to our offense and a guy that has been an important part of our offense,” Payton said. The Truth hurts but don’t jump yet! Evaluating different forums and blogs can really be comical. Bloggers were geared up to celebrate winning the Superbowl and now are asking for Payton’s cranium. Let’s be pragmatic and recognize the Saints have problems. What could ignite our problems is for the community to abandon the team and have the players realize what fickle fans the city has. They need our support and want to win as much as we the fans want to. Do you really think they enjoy losing and want to give up? If you were at the game then it is obvious the fans are hungry. They were standing, yelling and excited for any small positive occurrence. A first down would draw a huge applause. Let’s support the team and here is my take on our problems. What is wrong? This is the scariest part. I am not sure if Sean Payton knows! My belief is it all starts at the line of scrimmage. The offensive line played over their head last year and is playing terrible. This is because the Saints do not have any confidence and every team we are playing is stacking the line. If you look at everyone’s defensive converge against us they place everyone in the box. Last year we used a lot of passing plays that the West Coast offense employs. The best way to prevent this is to stack the box and play short. If there is good pressure on the quarter back then you defeat it unless you can throw deep. The offense is where the problem starts. The line play needs to improve. Dropped balls! Count them please. The receivers are averaging five dropped passes a game. How does this affect Drew Brees? Well this is obvious, and he needs to have confidence in his receivers. He also needs time to throw. The Saints were still in the game when Brees’ fumbled the ball The Saints were driving and it was the difference maker of the game. As I said last week we need this week off. Let’s see how good Payton is now and makes adjustments to beat the cover 2 and the stacking of the line. We were actually still in the game till the 4th quarter. Turnovers! Yes four of them. There is no team in the NFL that throws 4 interceptions in one quarter that can win a game. Yes believe it or not there was a little positive news for us. The offense finally started to move the ball down the field. 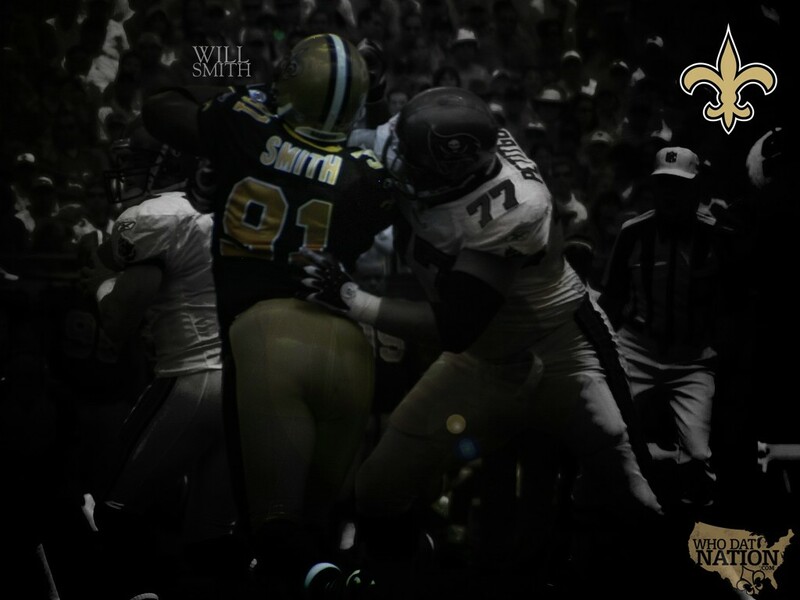 Let’s hope the Saints offense has a break out game against our division rivals the Carolina Panthers next game. If the offense can score some points nobody expects this defense to shut anyone out. I never thought I would be defending the defense but here it is. If they can keep us in the game the offense needs to score about 27 to 31 points then we will win. The defense actually showed a little promise. The turnovers also hurt the defense because they were on the field too long. No defense can be on the field as long as they were in the beginning of the game and perform adequately. Posted in Who Dat's | Comments Off on The Truth hurts but don’t jump yet! Video of Mike Karney from Friday’s pep rally!! Time to get pumped up!!! A “TRUE” Whodatnation fan ! then to look at Supa Saint ! 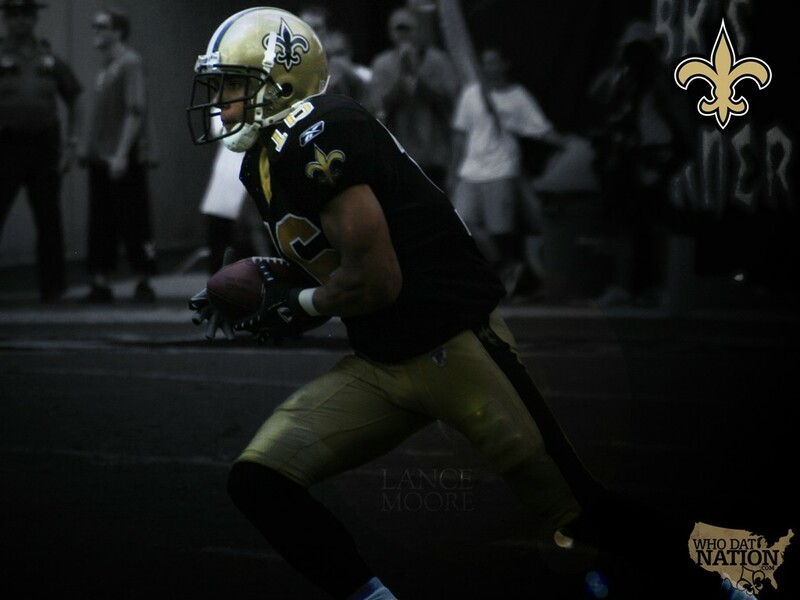 him since he is what Whodatnation is all about !! Posted in Videos! | Comments Off on A “TRUE” Whodatnation fan ! FAN RALLY: FRIDAY AT SAINTS CAMP!!!!!! 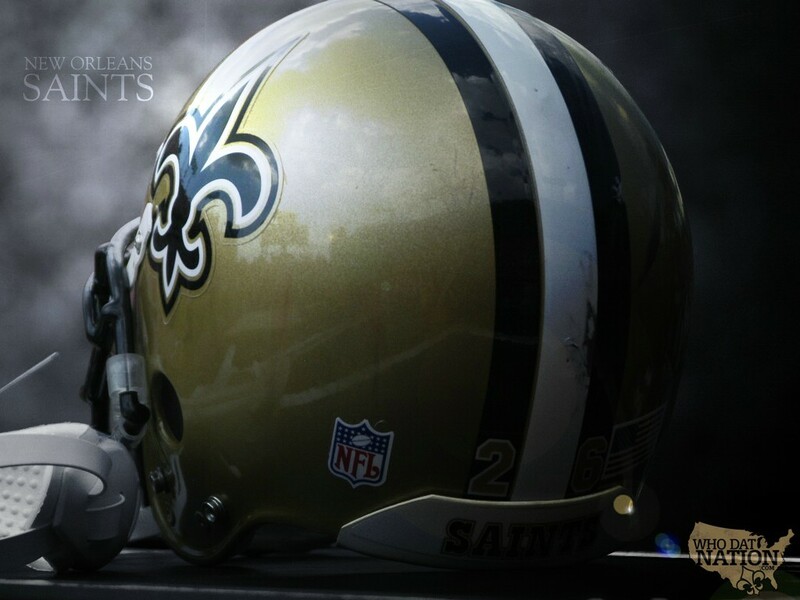 In response to a flood of phone calls from fans across the region who want to stage an event to show their support for the team, the New Orleans Saints are holding a fan rally on Friday, Sept. 21 at the club’s training facility in Metairie, it was announced today by Owner Tom Benson. Gates open at 3 p.m. for the rally, and there will be concessions, a live band, as well as a performance by the Saintsations. Head Coach Sean Payton and players will address the fans, though there will be no autographs during the event. The event will end at 5:30 pm. The pep rally is open to the public and free of charge! 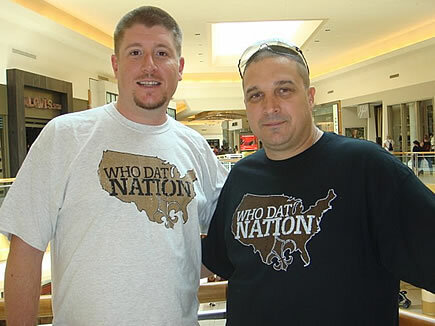 The Who Dat Nation showed up in Tampa, too bad the Saints did not. The Who Dat Nation was strong in Tampa. The whole weekend, through out Tampa we saw proud members of the Who Dat Nation flying their Saints colors – we saw them at the mall, the beach, the bars, and the game. I tip my hat to everyone who made the trip to Tampa, enduring 110 degrees in the stadium to pull for our boy in Black and Gold! 2 things I will take away from this experience. 1) The Who Dat Nation is growing and even in defeat are the best fans on the planet. 2) I will never say a bad word about the Dome again. I hope the AC is cranking Monday night!! season is Cassie ! So here is Cassie !